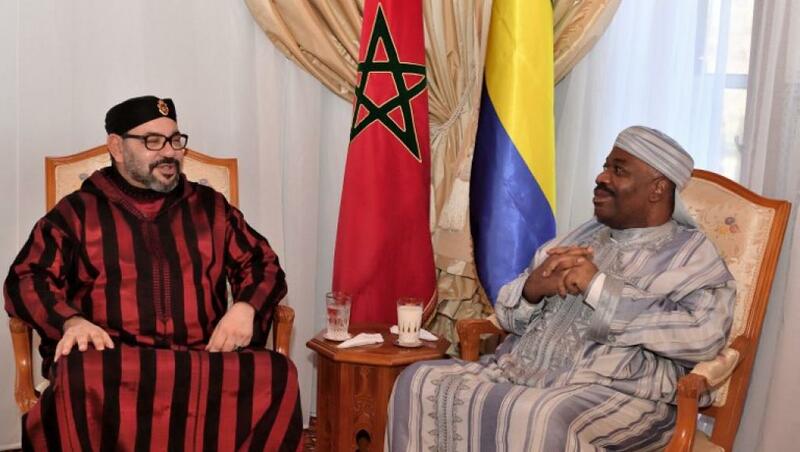 The King of Morocco Mohammed VI has called Monday on ailing Gabonese president Ali Bongo Ondimba, who is recovering from a stroke in a military hospital in Rabat. Ali Bongo is currently in the North African Kingdom for medical recovery after his hospitalization in the King Fahd hospital in the Saudi capital, Riyadh, last month. The royal palace has shared a photo showing the two leaders talking. However there is no information on how long Bongo will stay in Morocco. Two weeks ago, Gabon’s constitutional court gave the vice president and prime minister some powers to carry out certain roles of the president while he is away. However, the opposition has condemned the move as an attempt to consolidate power in the hands of the Bongo clan. Key government officials will join Ali Bongo in the hospital in Morocco to work on urgent matters, according to First Lady Sylvie Bongo. The 59-year-old President has ruled the oil-rich Central African nation since 2009 after the death of his father, Omar Bongo, who had ruled since 1967. Posted by Emmanuel Agbenonwossi on December 4, 2018. Filed under News. You can follow any responses to this entry through the RSS 2.0. Both comments and pings are currently closed.